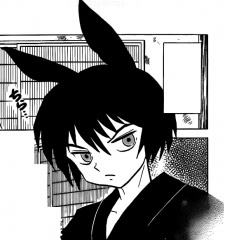 Appeared since chapter 120 with his twin sister. He's the current owner of the scythe fixer "Migatsudou". He has a book of the scythe fixing "diary" that his descendent kept, with errors. He's a person with bad mouth, but with incredible skill.